It was a zoo without cages, fences or even animals—but it provided students with a wonderful experience! 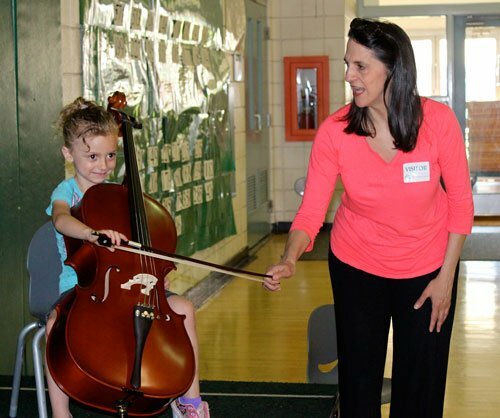 Members of Gannon University’s Erie Chamber Orchestra visited the Elizabeth Lee Black School on Friday, May 31 to provide a “musical petting zoo” for children. 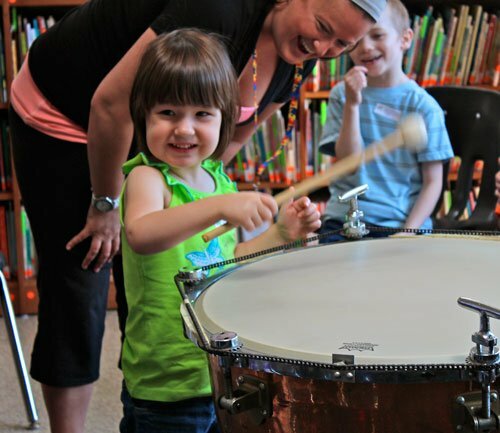 Musicians shared their string and percussion instruments so that youngsters could have a hands-on opportunity to learn about creating music. 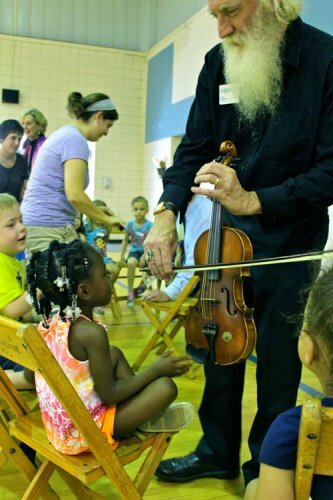 Musicians Howard Lyon and Louis Nicolia demonstrated the violin; Jennifer Jansen showed children the viola; Ruth Ann Scanzillo had a cello and Steve Weiser offered students an opportunity to experiment with percussion instruments. 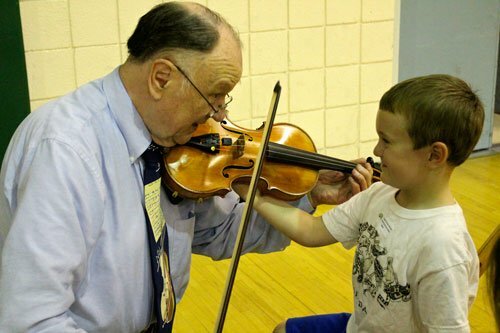 More than 240 students from the ages of three through 21 visited the musical petting zoo throughout the day.